Be part of the startling world of mind-reading, magic and story-telling at the hands of Alex Kazam. This unforgettable theatrical experience challenges us – in the most astonishing way – to let go of our desire to know. Alex is an award-winning magician & writer. The performance runs approximately 90 minutes, with a 15 minute intermission. 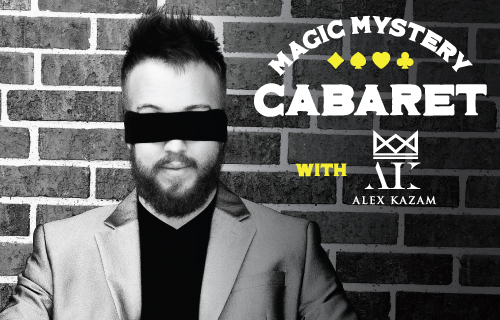 Note: Magic Mystery Cabaret is not suitable for children under 12.